Mulhearn Funeral Homes presents a life-saving initiative to the area. 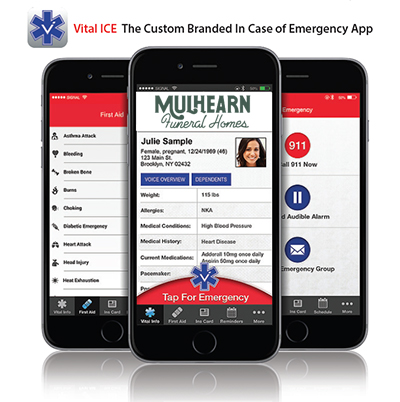 Download the FREE in case of emergency app on iTunes or Google Play and enter the code 0505 to start using today. It can help save your live!